(from BBC News) — Hackers used internet-connected home devices, such as CCTV cameras and printers, to attack popular websites on Friday, security analysts say. Twitter, Spotify, Netflix and Reddit were among the sites taken offline on Friday. On Friday, it came under attack – a distributed denial of service (DDoS) – which relies on [millions] of machines sending co-ordinated messages to overwhelm the service. Mr. Krebs is intimately familiar with this type of incident, after his website was targeted by a similar assault in September, in one of the biggest web attacks ever seen. Reprinted here for educational purposes only. May not be reproduced on other websites without permission from BBC News. (PC World, Sunday, Oct 23, 2016) - A Chinese electronics component manufacturer says its products inadvertently played a role in a massive cyberattack that disrupted major internet sites in the U.S. on Friday. Mirai works by enslaving IoT (Internet of Things) devices to form a massive connected network. The devices are then used to deluge websites with requests, overloading the sites and effectively taking them offline. Xiongmai says it patched the flaws with its products in September 2015 and its devices now ask the customer to change the default password when used for the first time. But products running older versions of the firmware are still vulnerable. 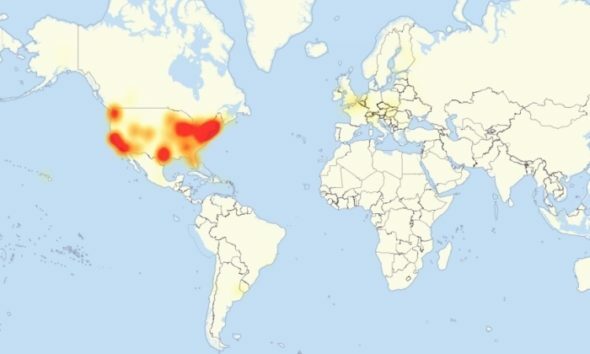 Botnets created from the Mirai malware were at least partly responsible for Friday's massive internet disruption, according to Dyn, the DNS service provider targeted in the assault. “We observed 10s of millions of discrete IP addresses associated with the Mirai botnet that were part of the attack,” Dyn said in statement. The DDOS attack, which flooded sites with an overwhelming amount of internet traffic, slowed and stopped access to Twiiter, Spotify, PayPal and many more services. Last month, a Mirai-powered botnet also briefly took down the website of cybersecurity reporter Brian Krebs, by delivering 665 Gbps of traffic, making it one of the largest recorded DDOS attacks in history.